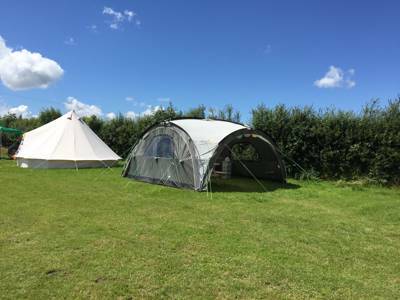 Bales Ash Campsite sits above the Taw Valley in beautiful North Devon countryside with views across to Exmoor providing complete escape from the pace of modern life. 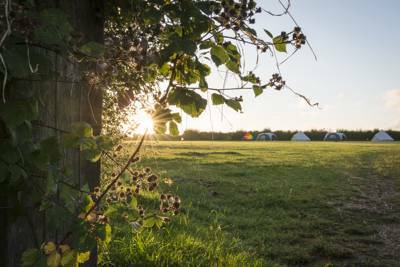 We offer relaxed camping in two beautiful sprawling fields for just 3 months each year. 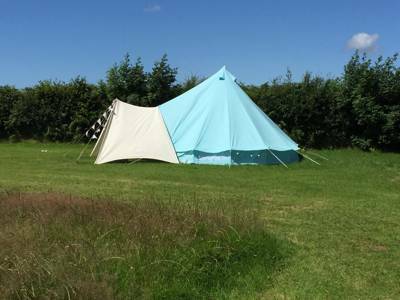 We welcome all types of tents and camper vans, awnings and you can even bring a gazebo or event shelter. Sit and chat around a firepit, enjoy gazing at the stars and experience the complete stillness of being away from it all. Bales Ash is a place to chill out and get in touch with the other side of you. For latest availability and best prices for Bales Ash, please use the Date Search above. 3 super showers, 3 compost toilets plus portable loos, electric hookups, water taps in both fields, washing machine, and freezer. Free Wi-Fi available. 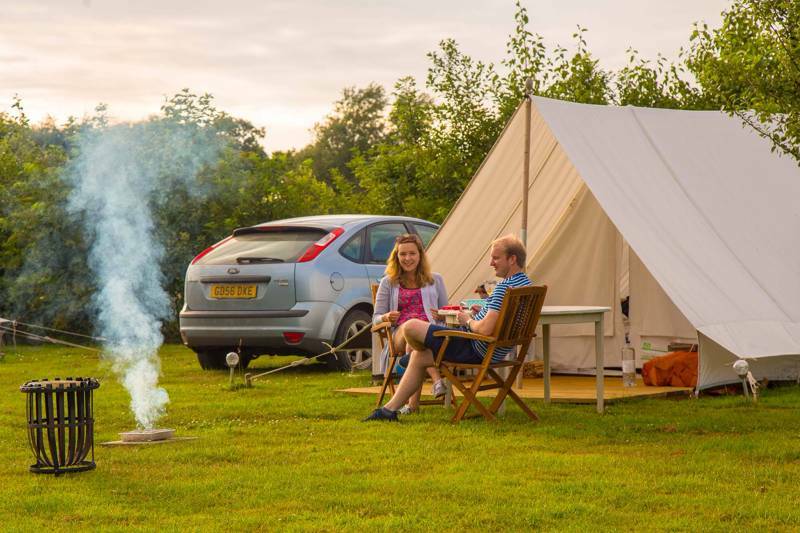 Campfires allowed in firepits (supplied by the campsite only), plus there is a large communal firepit – the perfect place to gather under endless Devon skies offer for unrivalled stargazing! 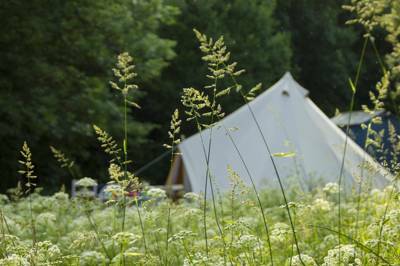 The campsite has direct access to a number of local walks – try the gentle one-hour route to the pubs in High Bicklington or visit the woods at Kingford Hill, owned by the Woodland Trust. The South West Coast Path is rightfully popular, and a great way to access some of the quieter, less accessible beaches. Croyde, Woolacombe, Saunton, Putsborough and Westward Ho! are the most well known beaches and all within around 30-minutes' drive. Backed by seaside towns, they're awash with places where you can rent surfboards, take lessons and enjoy fudge and clotted cream ice cream . For family cycling routes, the well known Tarka Trail is a short drive from the campsite; alternately cycle to one of the stations along the Tarka Line train route. For golf enthusiasts, Libbaton Golf Club (01769 560269) – an 18 hole, par 73 course – is less than a mile away. Homemade cream teas are available (and not to be missed) along with some basic food stuff, fresh farm eggs and home baked cakes. Their gluten-free bakes are a speciality. There is a well stocked community shop in the village, while nearby Barnstaple has all the shops for supplies (Tesco, Sainsburys, Lidl etc) and the coastal villages boast restaurants and takeaways. There are two pubs in High Bicklington, a 20 minute walk across the fields from the campsite. The Golden Lion (01769 561006) is the newer of the two, relatively speaking – it's still a 19th century haunt with a single bar and grainy local pictures from yesteryear. The Old George Inn (01769 560513), meanwhile, is a thatched local from the 1500s that retains many original features. There's a cosy bar area with pub grub and a skittle alley. Less than 10 minutes drive gets you to a fab range of gastro pubs – try The Bell Inn (01769 540368) at Chittlehampton, The New Inn (01805 603247) at Roborough or the newly-refurbished Ram's Head (01805 804255) at Dolton. the kennels and drive on down the lane, take the first right following the blue arrow sign to Bales Ash (ignoring your sat nav which may try to take you straight ahead down a no through road - don’t!) and follow the lane down until you see a building on your right. 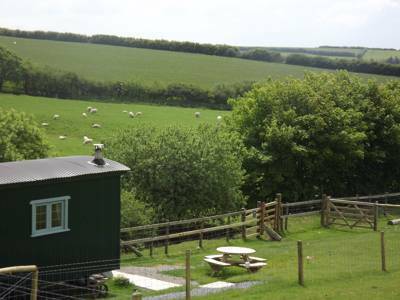 Carry on beyond the closed wooden gate and then past the open black gates and enter the campsite through the metal barred gate on your right opposite an old stone barn. Please close the campsite gate behind you and then drive over to The Victorian Summerhouse on the right of the field to book in. lodge signs on your right, next a skidding car warning sign on your left and almost immediately a blue arrow sign to Bales Ash on your right. Turn right onto the lane and proceed uphill for about 1/4 mile. Campsite entrance is through a metal barred gate on your left (opposite a small stone barn on your right). 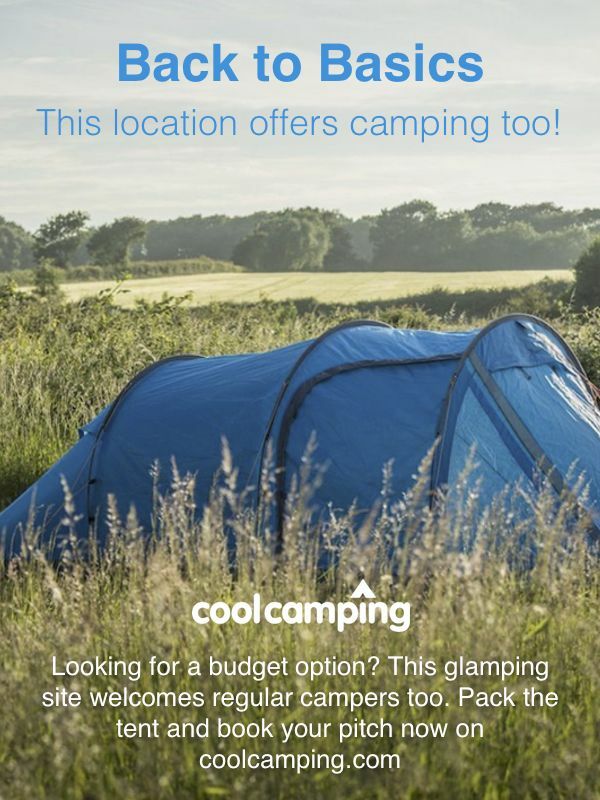 Please close the campsite gate behind you and then drive over to The Victorian Summerhouse on the right of the field to book in. The nearest train stations are Umberleigh (4 miles) or Portsmouth Arms (1½ miles; tell the conductor you want to get off there or they don’t stop!). Pick-up can often be arranged if needed. Ann, Debbie or Caro can often arrange to pick you up if needed. Summer comes and summer goes but the memories from this pop-up paradise will stick with little ones forever. If every empty meadow could be transformed in this way then the world would surely be a better place. 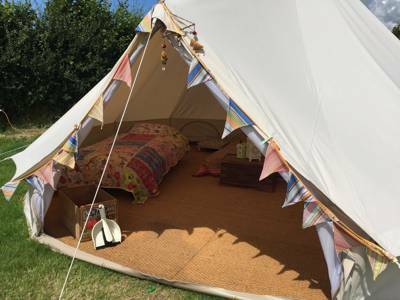 30 spacious camping pitches and 3 fully equipped 5m bell tents.